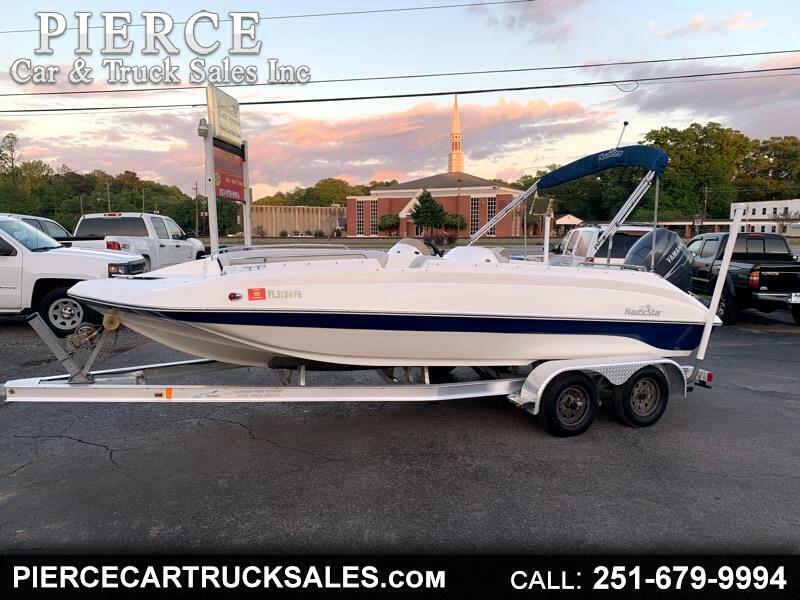 Used 2010 Nautic Star Sport for Sale in Satsuma AL 36572 Pierce Car & Truck Sales Inc.
YOU ARE VIEWING A 2010 NAUTIC STAR 205 SPORT DECK BOAT. IT IS EQUIPPED WITH A 115 YAMAHA FOUR STROKE MOTOR (149 HRS. ), LOWRANCE DEPTH FINDER, BIMINI TOP, RADIO AND SPEAKERS, FRONT AND REAR LADDER, LIVEWELL, CUP HOLDERS, TANDEM AXLE ALUMINUM TRAILER, AND PLENTY OF STORAGE. IF INTERESTED GIVE US A CALL AT 251-679-9994 OR FOR MORE OPPORTUNITIES VISIT OUR WEBSITE AT WWW.PIERCECARTRUCKSALES.COM. Message: Thought you might be interested in this 2010 Nautic Star Sport.